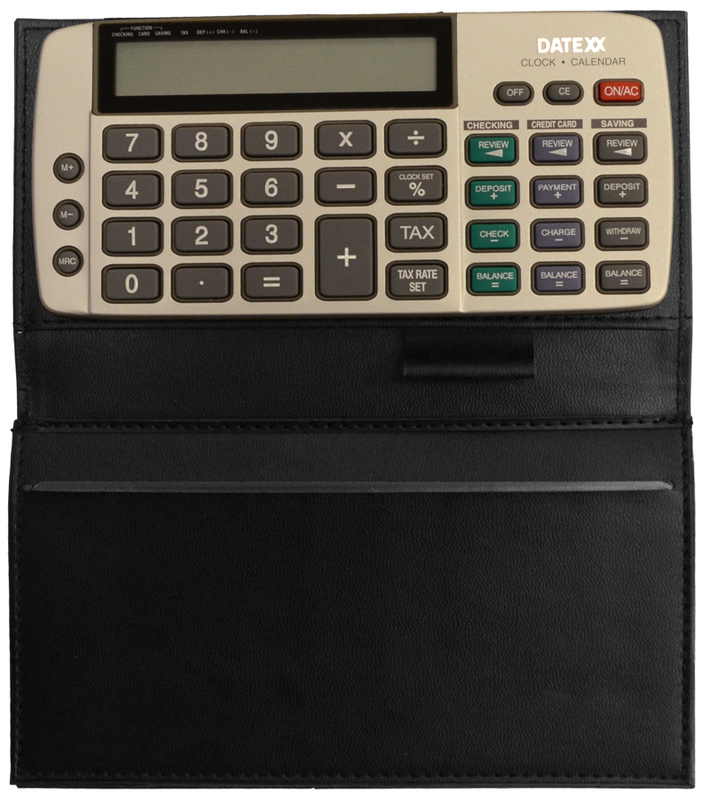 "Black Bi-fold Checkbook Calculator" product is already in your cart. 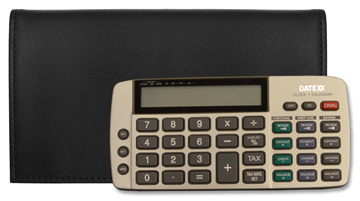 This great calculator bi-fold leather checkbook cover is filled with features. This checkbook cover's calculator has a account balance feature for 3 different accounts, as well as a full calculator, and date and time clock. The leather cover has 4 credit card slots, a pen slot, and a money slot,as well as the checkbook slot. The inside of the cover is leather lined as well. These covers are designed to last for years! We also offer this cover in a Tri-fold format as well.